You can just imagine the president saying – he used the word ‘No’ – so they have nothing, right? Tell me I’m right? 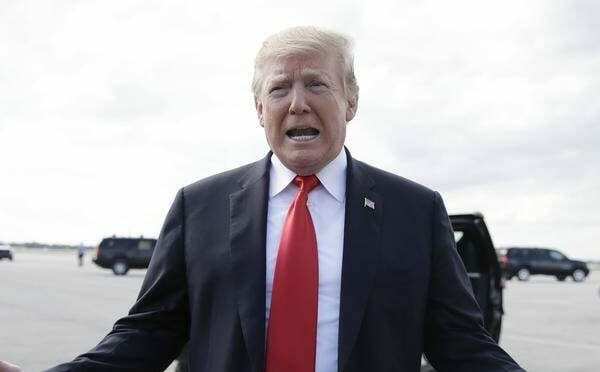 US President Donald Trump declared he had been completely exonerated Sunday after his campaign was cleared of colluding with Russia in the 2016 election campaign. Special counsel Robert Mueller did not find evidence of collusion between US President Donald Trump’s campaign team and the Russian government. But the president has not been completely exonerated of other crimes. The final report by Special Counsel Robert Mueller left unresolved allegations that Trump obstructed justice in his attacks on the probe. “There was no collusion with Russia. There was no obstruction. It was a complete and total exoneration,” Trump said. Mueller’s findings, which were sent to Congress, Attorney General Bill Barr said “no Trump campaign official” was involved in the Russian conspiracies to hack Democratic computers and flood social media with disinformation to harm Trump’s election rival Hillary Clinton. “The special counsel did not find that the Trump campaign, or anyone associated with it, conspired or coordinated with the Russian government in these efforts,” Barr wrote. On the other hand, Barr said Mueller declined to reach a decision on the evidence against the president of obstruction of justice, which almost guarantees that Democrats in Congress will push to investigate this further. Mueller wrote that “while this report does not conclude that the president committed a crime, it also does not exonerate him,” Barr said. House Judiciary Committee Chairman Jerry Nadler wrote in a Tweet that the government would need to prove “beyond a reasonable doubt” that Trump had not committed obstruction of justice. Nadler said he will be calling Barr to testify “in light of the very concerning discrepancies” in the report summary. In a joint statement, Democratic House Speaker Nancy Pelosi and Senate minority leader Chuck Schumer called for the full report to be released and reminded the public that Mueller’s report did not exonerate the president. Mueller’s team indicted 34 individuals and reached guilty pleas or verdicts against five former Trump aides, including one-time attorney Michael Cohen, national security adviser Michael Flynn and campaign chairman Paul Manafort.